Plastic roofing material EKOternit ® – Modern plastic roofing material with the design of natural slate. Low price. Ideal for your house, garden and company. Let us introduce you a new system of plastic roofing material EKOternit. 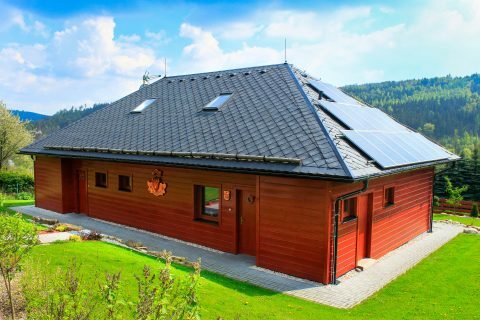 It is a stable brand on the Czech market and also one of the latest trends in roof building and reconstruction. We offer you the best, based on our more than 20 years of experience. Find out for yourself. Weight: 10,01 kg/m2 – 13pc. Price: 11 EUR without VAT per m2. Weight: 12,90 kg/m2 – 10,4pc. Price: 11,50 EUR without VAT per m2. Weight: 17,50 kg/m2 – 17,5pc. Price: 11,70 EUR without VAT per m2. Weight: 11,62 kg/m2 – 16,6pc. Try our calculator and make a preliminary idea about the price. The roofing material imitates the look of natural slate and moreover, it does not get moss-overgrown. The roofing material is well resistant against weather changes and mechanical damage. The roofing material is exceptionally lightweight, colourfast and UV-resistant. 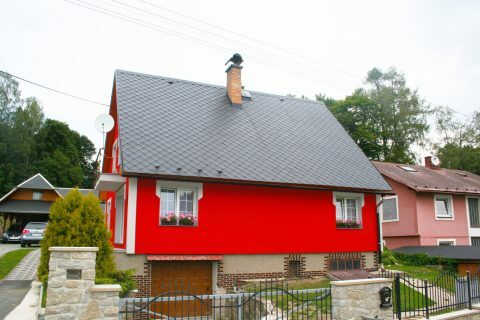 You can buy the roof covering EKOternit from 190 CZK without VAT per m2. Thousands of you have already tried the roofing material EKOternit. Look at a selection of realizations from around the CR and Europe. 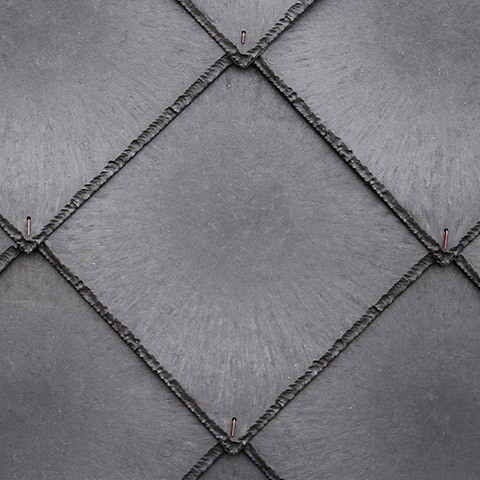 Laying this roofing material is the same as for eternit or slate roofing, including the mounting of snow barriers. It has a three point anchoring of roofing templates. 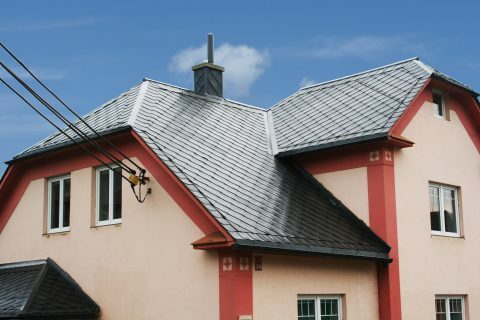 Plastic roofing material EKOternit is made of recycled cable insulation, from which the PVC is gradually recovered. This further serves for the production of individual parts of the covering. More about production. We use a unique system for attachment with prepared openings for fast and easy assembly. It offers more comfort for the roofers. More about assembly. EKOternit begins where others end. From the viewpoint of formability, the roofing material can be very successfully used in semicircular roof parts, where otherwise plating is used. Compared to similar coverings, we use only high quality materials. More about advantages of our roofing material. Our family company has been engaged in manufacturing plastic products and engineering for more than 20 years. We can offer you reliable and quality service, for which our customers keep coming back.